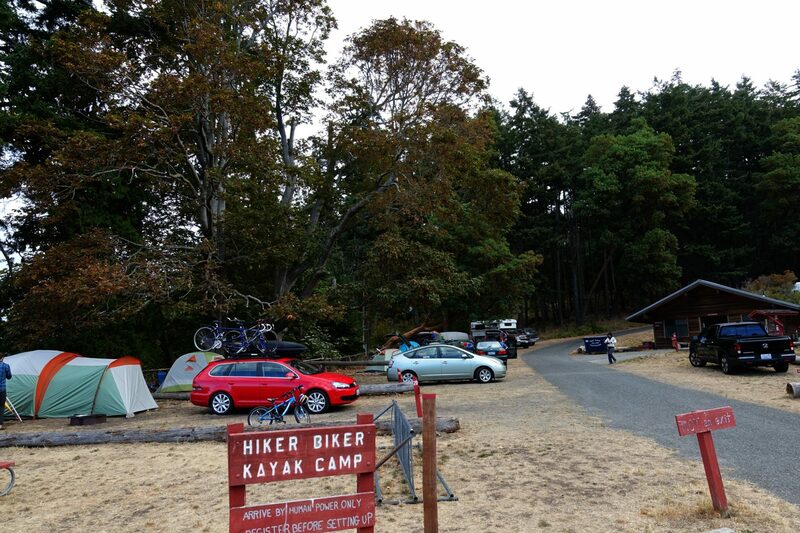 San Juan County Park Campground is perched on the edge of the Puget Sound on the west side of San Juan Island. 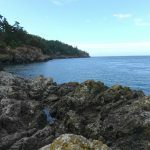 The campground overlooks Haro Strait with views to the Strait of San Juan de Fuca. During the day, we watched ferries, looked for orcas, and gazed at the Olympic Mountains. At night we could see the lights of Victoria on Vancouver Island in British Columbia. The view! The campground is on a small bluff above the Sound. There is a small beach for hanging out. Small Pox Bay (yes, that is the name) is ideal for launching kayaks or boats. Pretty quiet considering how close you are to your neighbors. You need a car, bike, or kayak to get there and you will have to bring one (or more) of those on the ferry. Sites are small and on top of each other. There is zero privacy in most sites. Many sites are sloped. Point your head uphill in your tent! Bathroom and trash can be a little stinky, but we wouldn’t have noticed if we weren’t camped so very close to it. Whales! You can see whales right from the campground. Even if you don’t catch Orca-views, watching ferries go by, seals bob up from underwater, waves crash, and the sun set, makes this spot one of the best on the island. Yes. If you are going to camp on San Juan Island, I think this is your best choice. 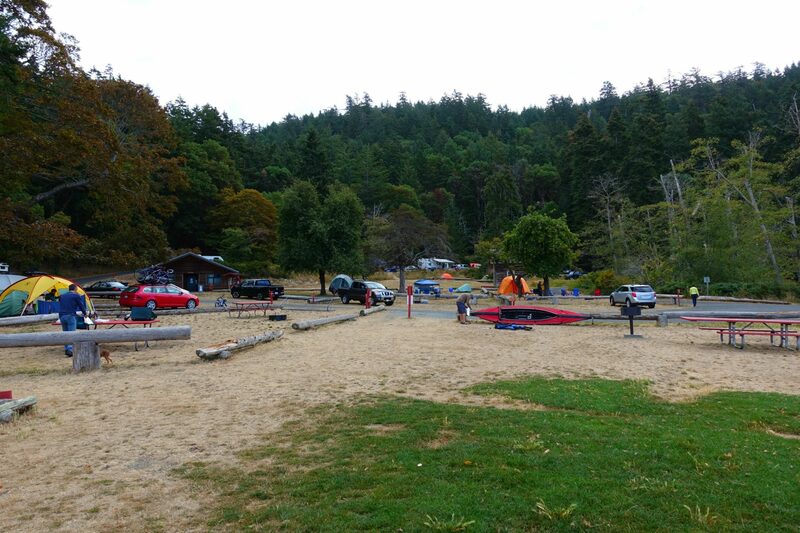 The other campground has more amenities but is bigger and more crowded. It’s probably fine, but it’s more of a resort than a basic campground. San Juan County Park Campground also has the best location—right on the edge of Puget Sound. It had a community feel. We were all up in each other’s business…just like a small town. For tent camping, try for sites 2-14. I like 3, 4, and 5 the best. 20 or 13 are my second tier choice. Check out the map for more information on each site, and the website to make a reservation. Want to expand your trip to other islands? 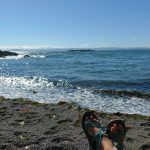 Cross the border and go camping on Vancouver Island. 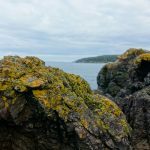 Wondering what to do on San Juan Island? These books helped us plan our trip.